Hi again, everyone! I cannot believe that this is the last post for July, and that August is just around the corner. This summer is flying by! I hope it's treating you all very well. 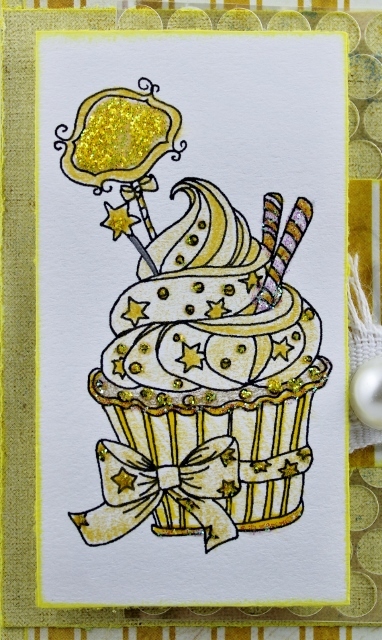 Today I've got another card to share that features the Star Sweet Cupcake stamp. 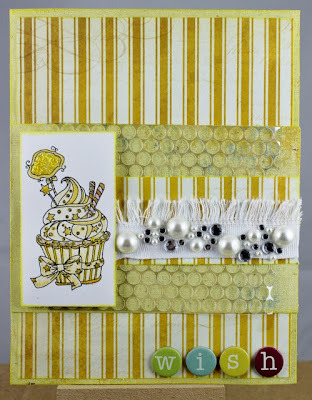 This time, it's a bright and happy birthday card. 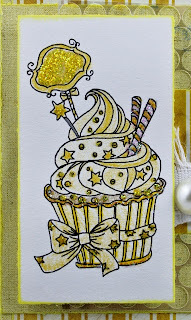 This card was made with lots of sunny yellow papers layered up and topped off with this adorable stamped image, which I colored with Prismacolor pencils and Stickles. 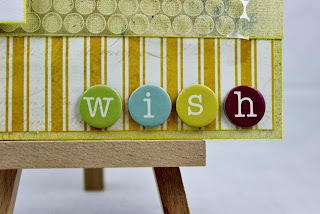 I finished it off with some chipboard letters at the bottom. That's all, y'all! 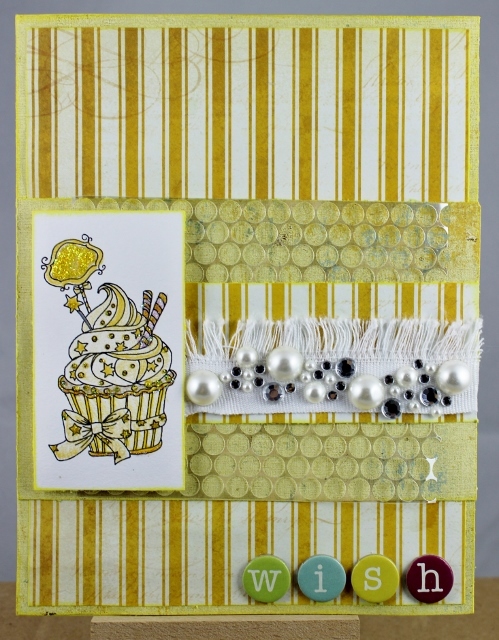 I appreciate you stopping by, and I hope you'll go on over to the Queen Kat Designs Store and grab up some of these adorable cupcakes! 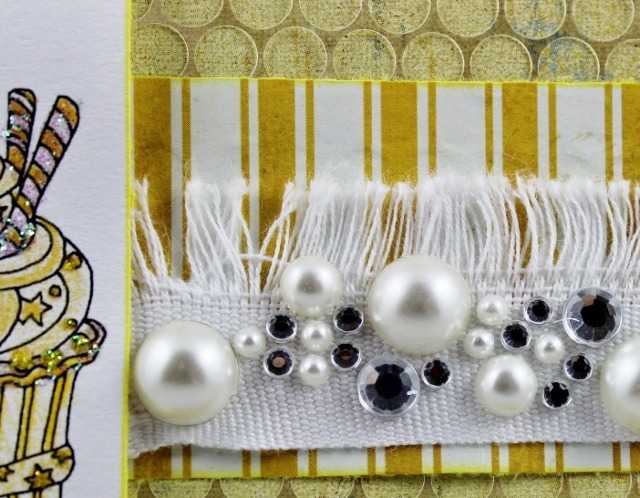 Love the coloring on your card--awesomeness! !